Sant Jordi Hostels has top rated hostels in Barcelona and Lisbon. Enjoy the best facilities, great locations, and affordable prices. 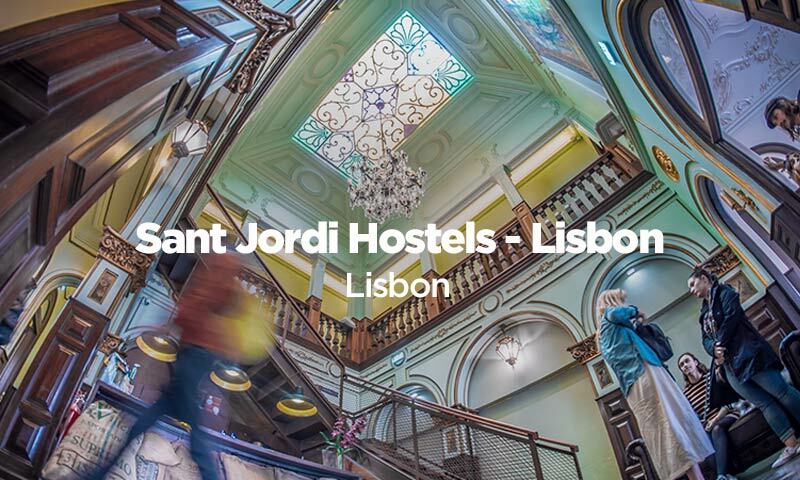 Our hostels in Barcelona and our Lisbon hostel are all ideally located. We also take special care to cater to the unique needs and desires of hostel guests. We provide top hostel facilities, friendly and informed service, social atmosphere, fun activities, and so much more. 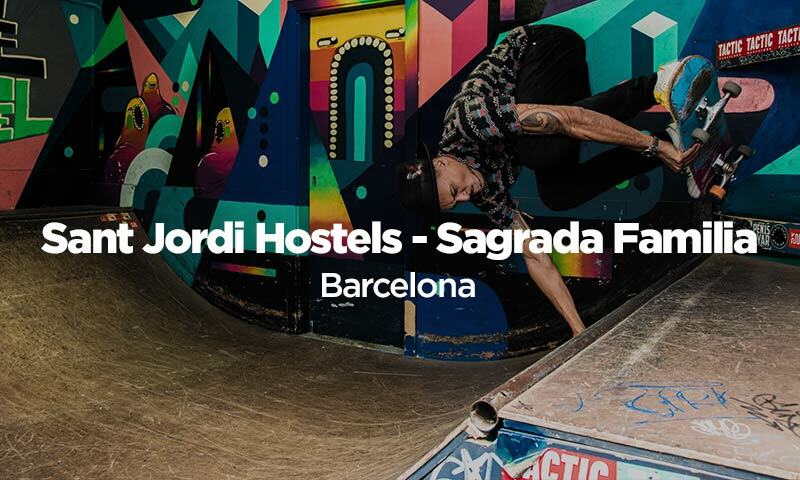 At Sant Jordi Hostels the hostel design makes a difference. Each of our hostels has its own unique concept that blends elements of the city, the neighborhood, the building, and the regional culture, with the modern world of hostel travelers. We believe that our guests should have something more than just stylish decor and a nice place to sleep. We want to help our guests have an unforgettable experience, and to make memories that will last a lifetime. 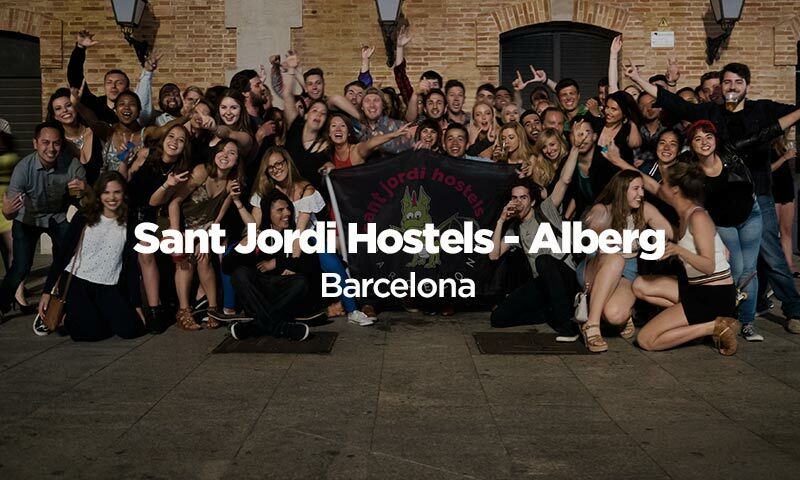 There are so many reasons to stay at Sant Jordi Hostels. Get big savings on your stay. Book direct with us and save! Groups of 10 or more? Make a group booking request. We are one of the most highly awarded hostel chains in the world. At Sant Jordi Hostels we give our guests an unforgettable hostel experience at an affordable price. We believe that the combination of modern hostel facilities, excellent services, social atmosphere, central location, and low price, makes our hostels the best choice for every traveler. We also go out of our way to make sure that our guests enjoy the destination to its fullest. Every traveler has different expectations when visiting a European metropolis. We try our hardest to recommend the best things to do for each traveler. Our desire is that our guests have the best hostel experience and make memories that last a lifetime. Two of the most attractive cities for traveling in Europe, both Barcelona and Lisbon are not only cultural gems with rich histories, amazing sites and spectacular food, they are also coastal destinations with beautiful beaches and stunning landscapes. Our hostels in Barcelona and our Lisbon hostel are all ideally located. We also take special care to cater to the unique needs and desires of hostel guests. We provide top hostel facilities, friendly and informed service, social atmosphere, fun activities, and so much more. 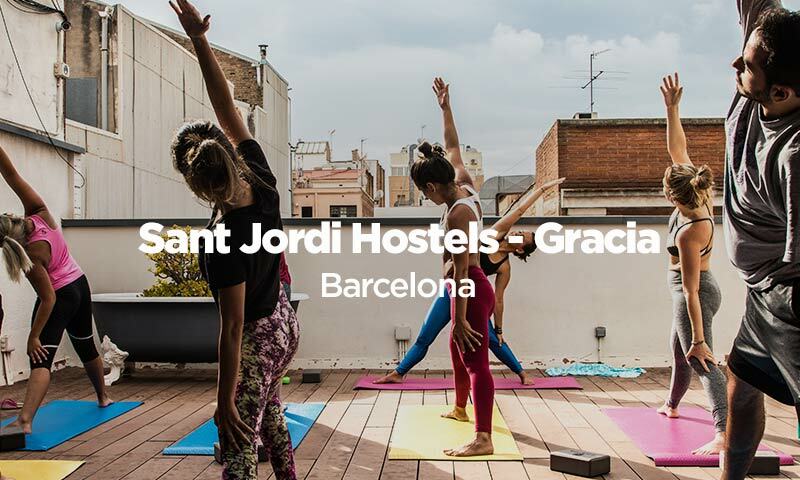 At Sant Jordi Hostels the hostel design makes a difference. 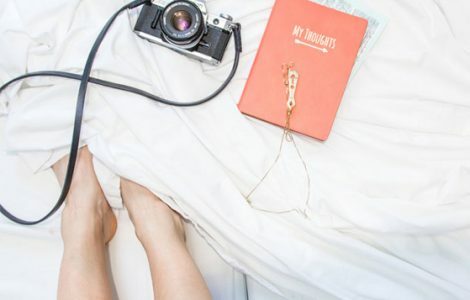 Each of our hostels has its own unique concept that blends elements of the city, the neighborhood, the building, and the regional culture, with the modern world of hostel travelers. We believe that our guests should have something more than just stylish decor and a nice place to sleep. We want to help our guests have an unforgettable experience, and to make memories that will last a lifetime. Get excited about your trip to Barcelona or Lisbon – check out our BLOG for some great travel tips. 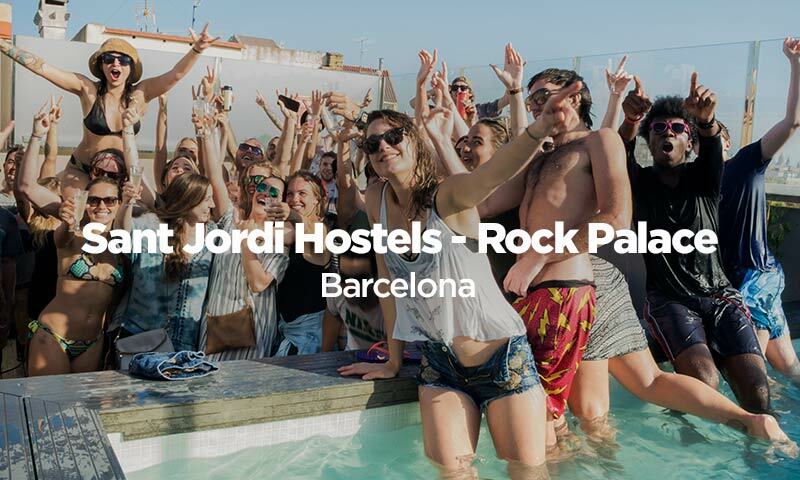 There are so many reasons why to stay at Sant Jordi Hostels. At Sant Jordi Hostels we give our guests an unforgettable hostel experience at an affordable price. We believe that the combination of modern hostel facilities, excellent services, social atmosphere, central location, and low price, makes our hostels the best choice for every traveler. We also go out of our way to make sure that our guests enjoy the destination to its fullest. Every traveler has different expectations when visiting a European metropolis. 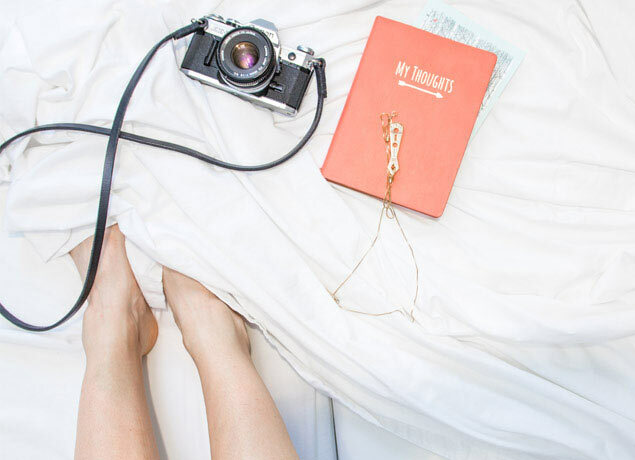 We try our hardest to recommend the best things to do for each traveler. Our desire is that our guests have the best hostel experience and make memories that last a lifetime.